Has My Clutch Gone Bad? We created this guide to show you what to look for when your car's clutch stops working. It will give you the most popular causes for clutch problems and links to repair the problems. Before we begin it's a good idea to know how a clutch works so you can visualize what is happening when driving or trying to drive your car. There are two scenarios that will occur when a clutch starts to go out. Either it will just stop working or you will hear noises or feel something strange which are symptoms of the clutch having a problem. Any noise the clutch is making is not good, but a general rule of thumb is if the sounds are loud it needs a repair immediately and if the problem seems slight then you should be okay for a little while. Most of the time a repair garage will look at a clutch problem for no charge if you are willing to have them do the repair. But if you are after a diagnosis they will charge between $35.00 and $45.00 (US) dollars to find out what the problem is and where to go from there. 1. 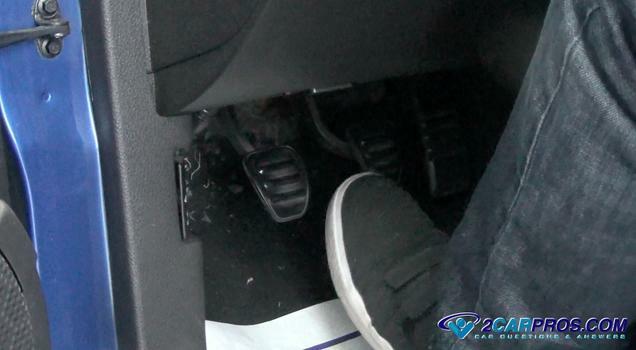 Clutch Pedal Spongy, Weak or On The Floor: When you have a problem with the clutch pedal could mean there is a clutch fluid leak at the slave cylinder or the clutch master is bypassing internally. 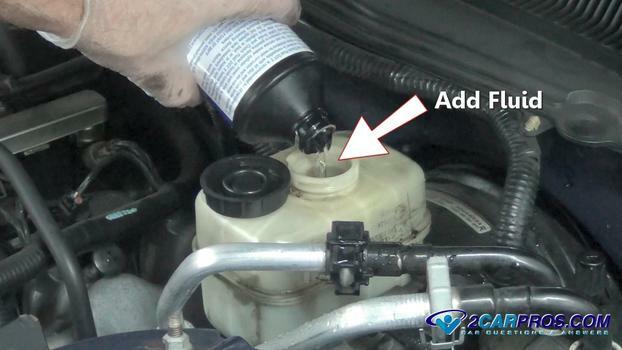 Begin by checking the fluid level of the clutch master cylinder. If the fluid is low or is completely out the system is leaking. After adding fluid use a flashlight to check the rear of the master which is done from under the dash where the clutch pedal rod connects to the rear of the clutch master, if a leak is present it needs to be replaced. The slave cylinder can leak as well, inspect for leaks at the dust boot or at the bottom of the transmission bell housing if the unit is located internally. Sometimes a mechanical failure can occur as well such as having a clutch fork break but this does happen very often. 2. 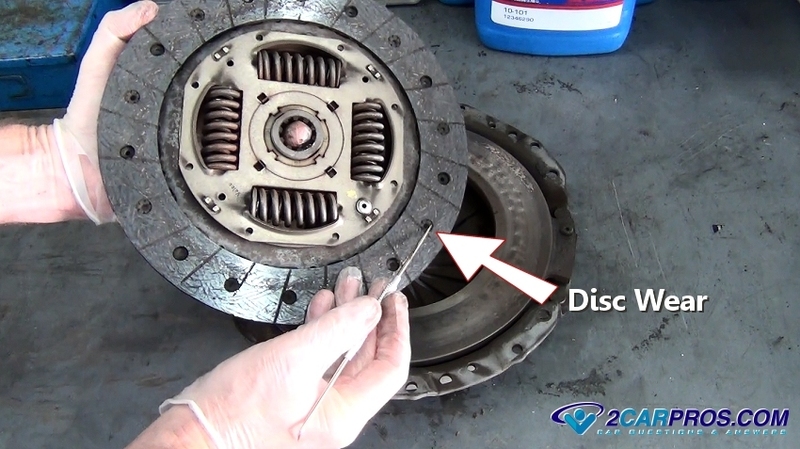 Clutch Disc Failure: When a clutch disc fails it can do so in one for two ways. 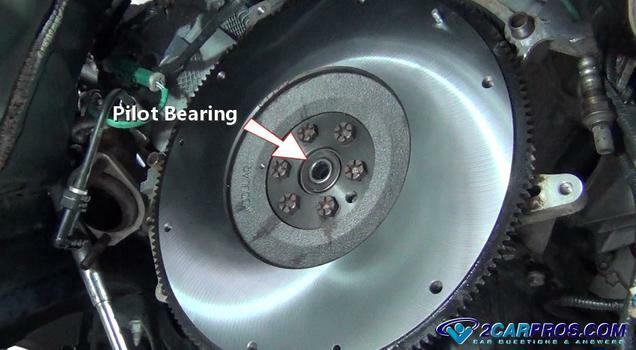 First the disc lining can become worn out from normal usage which will make the clutch slip not allowing the power of the engine to transfer through to the transmission, or the lining can come off not allowing the clutch to disengage. In either case the clutch must be replaced. 3. Pilot Bearing Lock Up: The pilot bearing which is located at the rear of the crankshaft is designed to support the input shaft of the transmission. When it locks up it will continuously spin the input shaft of the transmission which will not allow you to put the transmission into gear. The transmission must be removed and the pilot bearing replaced to fix this problem. Additional Tips: If the vehicle is running and a whirring sound is heard form the transmission. Then it goes away when the clutch is depressed the transmission input shaft bearing has failed and needs replacement.